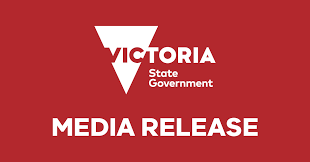 The Andrews Labor Government is improving emergency response capability in Western Victoria with the opening of the new incident control centre at Forest Fire Management Victoria’s Natimuk Road depot. Minister for Energy, Environment and Climate Change Lily D’Ambrosio today officially opened the multi-agency response facility.. The Andrews Labor Government will employ new staff and introduce new camping areas as part of the final master plan for the Point Nepean National Park. Minister for Energy, Environment and Climate Change today visited Point Nepean to release the final master plan to guide..
Victorians are being encouraged to have their say on a draft plan to protect the Belfast Coastal Reserve while maintaining recreational activities. The draft coastal management plan proposes two zones within the Belfast Coastal Reserve to ensure conservation of its unique environment as well as.. The Andrews Labor Government has launched the first interactive app to help Victorians get out and explore our incredible state forests. The More to Explore app encourages users to enjoy state forests through an interactive map via a range of activities – including camping, picnicking, walking, fishing,.. The Andrews Labor Government is urging Victorians to get out and take advantage of free activities across the state as part of Summer by the Sea.019 More than 300 free, fun and educational activities for people of all ages and abilities are on offer until..